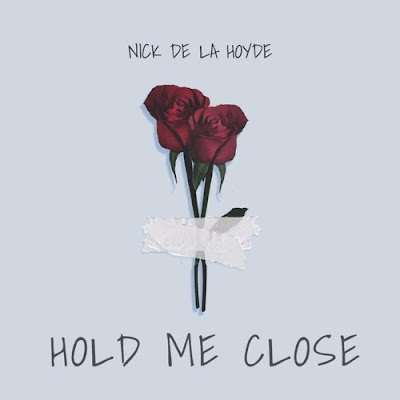 Home / brand new / brand new artist / música / Nick de la Hoyde / Nick de la Hoyde Unveils New Single "Hold Me Close"
Nick de la Hoyde Unveils New Single "Hold Me Close"
Australia based singer/songwriter/rapper Nick de la Hoyde has unveiled his brand new single Hold Me Close, a super infectious pop/soulful track. The track is filled with energy, from its pulsing trop vibes to the swooning vocal melodies - it has enough to lift into exultation and create a dance party of any situation. The single marks the evolution of Nick's musical style into one that is thoughtful of both the senses and the mind, continuing the sense of free-spiritedness that has come to define his music. Stream it below! Nick began expressing himself through music when he was 16 while pursuing a professional, football career in Barcelona. Music quickly became a driving force in Nick’s life and through that creative lens, he began to express his deeply personal thoughts of being a determined teenager chasing his dreams in a foreign land. This early creativity eventually won out and brought him back to Australia to pursue being an artist full-time. Growing up in a multi-cultural home with a Syrian mother and British father, Nick was exposed to many global influences which he weaved into his music melding his love of hip hop and R&B with electronic alt/dance beats together with introspective lyrics that chronicled a young, musician’s journey to adulthood overcoming life and artistic challenges along the path. Nick and his long-time producer/collaborator/older brother Joseph (ZUZU) de la Hoyde, have crafted a sound that is simultaneously intimate, expansive and engaging.